CM’s goal is to support builds & tools to help release products. What does it take to be a CM engineer in an Agile world with all the DevOps buzz words around? What was the impact? Is CM needed? This presentation is about my CM experience moving from Waterfall to an Agile environment using the DevOps concepts. How has Drillinginfo transitioned their culture, process, and technology to accommodate this. 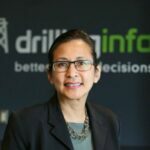 About the Presenter: Marisa Sawatphadungkij, CM & Test Manager at Drillinginfo, started off her Configuration Management Engineering career back in 1997 at IBM. That’s where she discovered her passion and foundation for CM. Having worked in a Client/Server Application industry for most of her career, she took the leap into the SaaS world at Drillinginfo in November 2011. This particular step was a turning point in her career. Since then, she was a critical part of the team that took Engineering from Waterfall to Agile with a DevOps mindset. Because of this, she was able to contribute to several process, culture, and technology changes for the company. Now as the manager of both CM and QA, she uses her 18+ years of industry expertise to help Drillinginfo navigate the roller coaster toward continuous delivery.